While my favorite Dark Moor albums remain the ones from the Elisa C. Martin era, this Spanish symphonic metal band has succeeded completely in changing their direction and lineup without affecting their quality. Love or hate their upgraded sound, it is done perfectly, and though it's quite a long way from their more raw power metal roots when they were just getting their symphonic sound together, their latest, Ars Musica, shows that these changes are far from unpleasant. Their sound keeps getting more like a movie soundtrack -- Enrik Garcia's wah-wah-pedal-tinged virtuoso guitar work is still undeniably present, as is his high-speed soloing, but more and more elements keep getting added -- choruses, female backing vocals, and an increasing amount of orchestral instruments. After a suitably symphonic intro that starts with violins, First Lance of Spain, both heroic and melodic, shows that Alfred Romero, their front man, just keeps getting better. His voice is powerful, but gentle and easy on the ears, without any weaknesses to it that some lesser power metal vocalists might allow to creep in. This is My Way and Together As Ever, two of the tracks with the strongest melodic hooks, combine with his voice to create a soaring major-key chorus that is likely to perk up even the most despondent. The City of Peace takes slightly more of a metal turn and allows Garcia to do some decent soloing. But the big surprise on this album is Gara and Jonay. Named after a local Canary Island legend of two doomed teenage lovers (a sort of Romeo and Juliet story), this love-song ballad should by all rights be the worst on an ordinary power metal album, but they do it so well that it's actually one of the best songs on the album, with plenty of power, and still suitable for playing to non-metalheads (it certainly made me wonder why Disney execs haven't already talked to the band about doing a soundtrack for their next princess movie). Living in a Nightmare finally gives us something heavier -- I was beginning to get worried that they'd completely immersed themselves in the symphonic side, but this is one that you can easily imagine Martin singing back in the old days, and Romero pulls it off effortlessly, without sounding like he has to strain at all to get that full, atmospheric sound. The high speed drumming courtesy of Roberto Cappa and Garcia's extra soloing on this one are a good break from their new direction and shows that they can still write a more metal-oriented song. The last two regular songs, El Ultimo Rey (sung in the band's native Spanish), and Saint James Way, are a bit of a mixed bag in my opinion. The melody of El Ultimo Rey isn't as strong as the other tracks, but Romero's operatic voice, sung powerfully from his chest with all his might, manages to save this one from sounding like an album-filler. Saint James Way is similarly mixed for me; I didn't think too much of the bombastic chorus, which is more of a "stage production" than ever, but the verse had a nice rhythm riff, and the bridge solo is also dramatic. The final tracks are a guitar-driven version of Isaac Albeniz's Asturias (a Spanish classical song), and two versions of previous tracks. 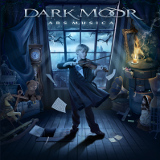 Overall this is a fantastic symphonic power metal album, likely to be one of the best this year. The current lineup is strong and capable of turning out some great tunes, and Ars Musica shows a masterful group that is only improving as they go.